The Royal Shakespeare Company's award-winning production of Hamlet, directed by the RSC's director, Gregory Doran, stars David Tennant in the title role. Produced by Illuminations during the summer of 2009, this superb adaptation is one of the most entertaining Hamlet plays ever to have been staged and was received with rave reviews. 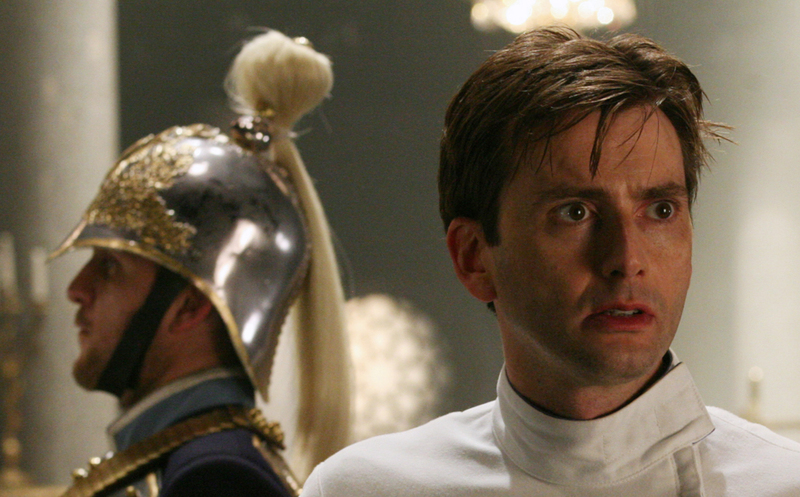 David Tennant has won great praise for his role in the Shakespeare play of a young man haunted by his father’s ghost and driven to the edge of madness. Shot on location at a disused Jesuit seminary in north London, this screen version of one of Shakespeare’s greatest tragedies retains the quality and tone of the critically-acclaimed stage production. All of the original cast members, including Patrick Stewart as Claudius, star in this special 180-minute production, alongside the same creative team. An Illuminations/RSC production in conjunction with the BBC, 2009.